When Europeans began exploring and settling in Australia centuries ago, they referred to koalas as “koala bears.” Apparently, they thought these animals were a part of the bear family. The truth is, however, these cute, furry, grayish, tree-climbing, teddy-bear-like animals are not bears at all. Rather, they are marsupials (mar-SOOP-ee-uls). And like all marsupials, they live the first part of their lives in their mothers’ pouches. 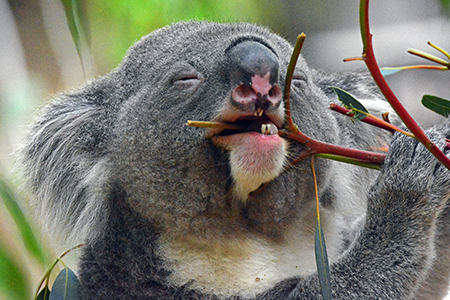 Unlike kangaroos, whose pouches open at the top, koala pouches open toward the bottom. When a mother koala gives birth to a baby koala (called a “joey”), the lima-bean-sized offspring makes its way to the cozy pouch perfectly designed by God. If left up to the chance processes of evolution, one might think that the joey could fall out of the apparent backwards-facing pouch. But there really is nothing “backwards” about koala pouches. God created koala pouches for the koala’s purposes. Mother koalas were designed with a strong muscle at the pouch opening, which allows them to keep their joeys securely in their pouches as they climb trees. 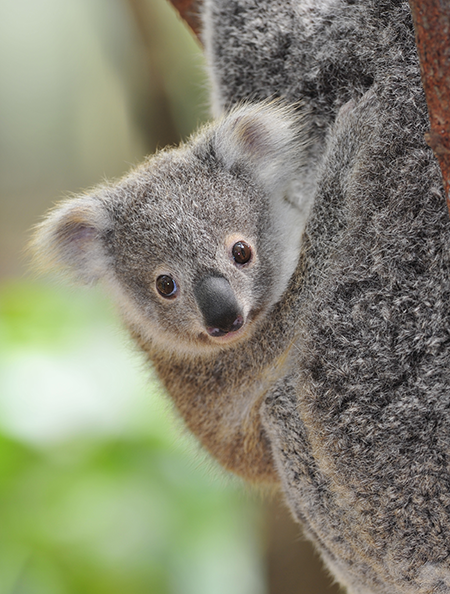 One of the strangest stages of a koala’s life begins when it is about six months old. At this age, in addition to drinking its mother’s milk in the pouch, it begins to look for and eat some of its mother’s poop. (Yes. Poop.) As gross as it is to discuss, this dietary stage of life is very important to the future health of a koala. Why? 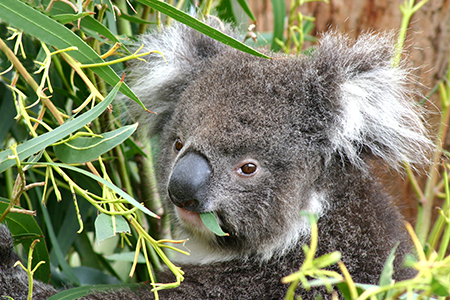 Because it is through its mother’s feces (and especially the soft and runny part known as “pap”) that a baby koala acquires the vital bacteria that it will need to one day be able to eat and properly digest eucalyptus leaves (which are a poison to most animals, yet make up the staple diet of grown koalas). How does a baby koala know that in addition to drinking its mother’s milk, it desperately needs the (disgusting) “pap” of its mother? How can unintelligent, mindless evolutionary processes logically explain how koalas “learned” they need to eat poop when they’re young in order to digest eucalyptus leaves when they are old? Does that sound like blind chance? Not at all. In truth, koalas testify to an intelligent Creator Who gave them exactly what they needed to survive (…even if it does seem a little gross to us).